Work experience can help you to explore your career options and gain a real-world insight into working life. During a work placement, you’ll develop professional skills with practical experience, increasing your future employability in the graduate job market. Short term opportunities are open to all. We offer a diverse work placement year programme, also known as a year in industry, which is a great way to enhance your CV before you graduate. You can choose to complete a placement in the UK or abroad, undertaking a 12-month placement in the third year of your studies before returning to Leeds to complete your final year. You'll pay a reduced fee for a work placement year. Find out more information about fees and funding for your work placement year. Working abroad will set you apart when looking for jobs when you graduate. It will help you to gain a greater understanding of different cultures and values, allowing you to see your own in a new light, and prepare you to live and work within a global economy. participating in the British Council's Language Assistants programme, if you speak an appropriate second language. These placements are usually 6 or 12 months in length. For further information about this year abroad option, including eligibility and details on applying visit the British Council website. completing a year in industry in an international country. The Careers Centre can support you to find a placement with access to a database of internships in over 50 countries. In preparation for working abroad, you have the opportunity to take up language discovery modules with the Languages for All discovery modules or take advantage of the Language Zone where you can brush up on your language skills. 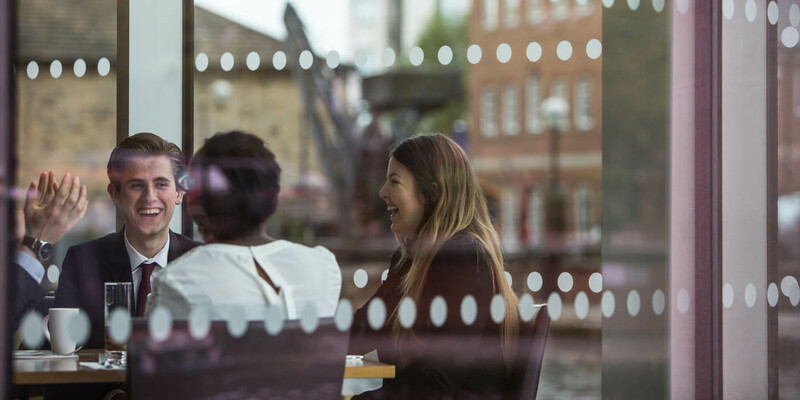 In addition to the year-long work placement opportunities, the School of Law also helps to organise shorter-term work experience opportunities in local firms and chambers. Previous students have had mini-pupillages at St. Paul's Chambers and Exchange Chambers, as well as work experience in Dixon Law or Schofield Sweeney. Short-term opportunities are available to students across all degree programmes. Contact the School's Employability Officers, Marika or Mischa.